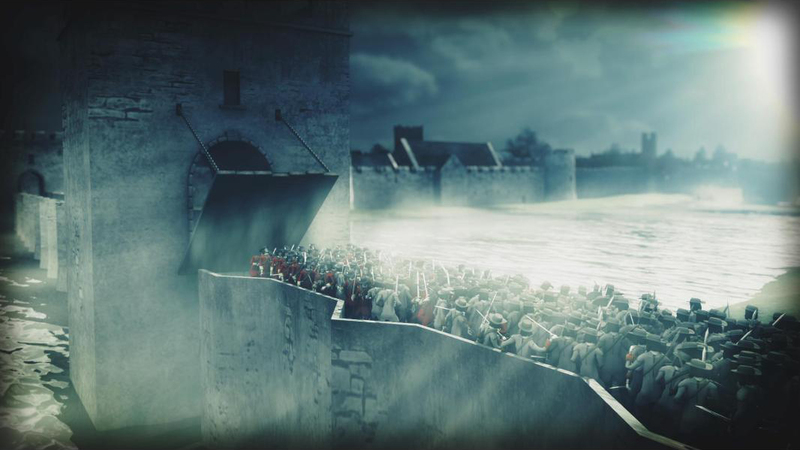 In the heart of Limerick City, the 13th century King John’s Castle features throughout Ireland’s history, shedding light on the Vikings, Normans, and the Irish Rebellion. 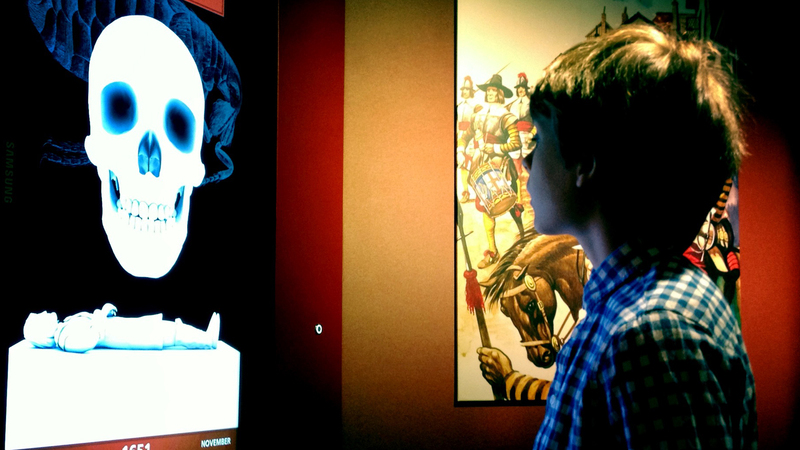 A brand new exhibit melds the Castle’s archaeology with immersive technology to bring over 800 years of history to life. 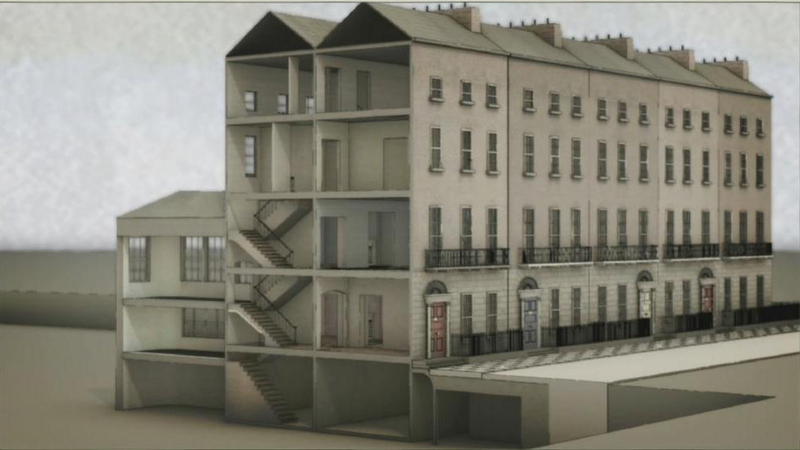 King John’s Castle in Limerick is one of our largest projects to date. 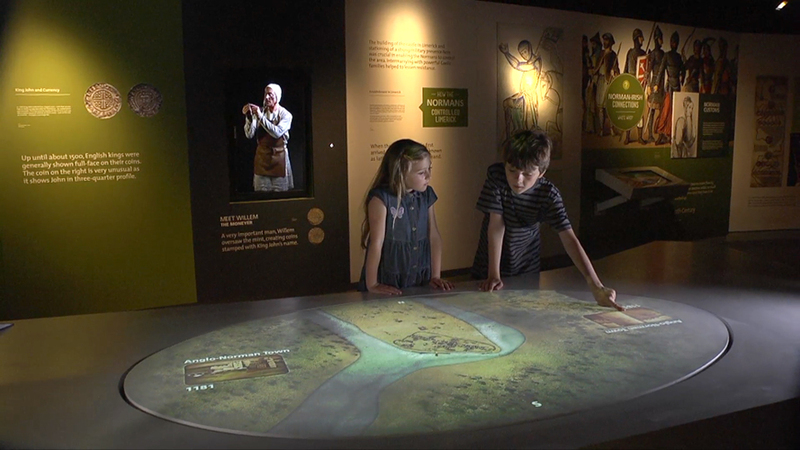 In partnership with Tandem Design, we undertook the telling of the castle’s history by utilising interactive technology combined with exhibit design, imagery, character vignettes, and interactive set pieces. 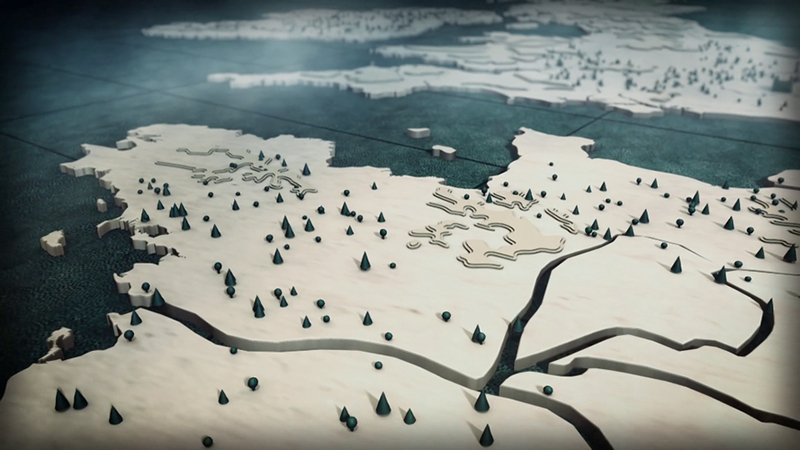 Our work for King John’s Castle includes a series of videos, computer visualizations, and a large plinth timeline projection. 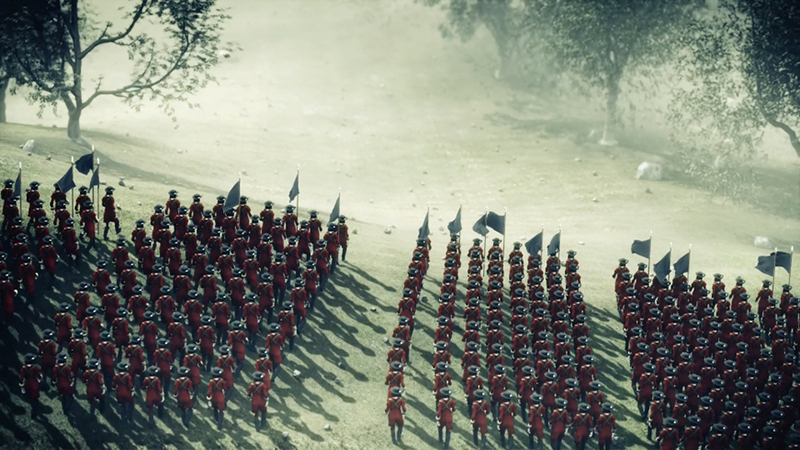 The historical visualization videos combine 3D Modeling with live-action video to illustrate the history of the castle and its surroundings, including animations of historical battles. 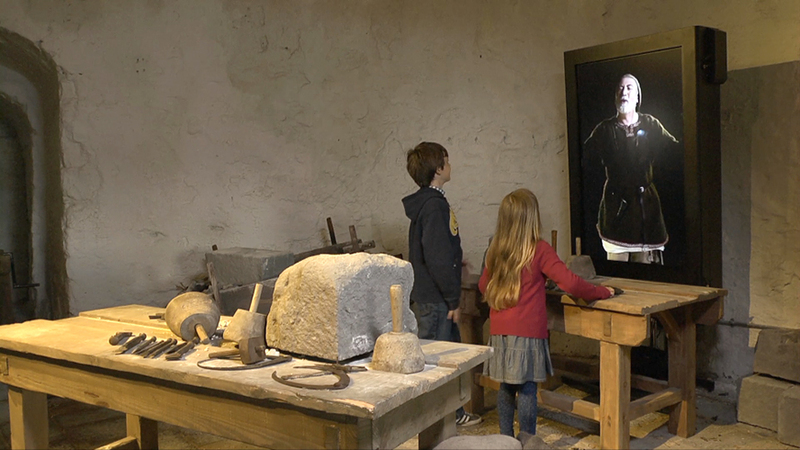 A series of audio-visual vignettes bring historical characters to life, placing visitors at the centre of a day in the castle’s history. 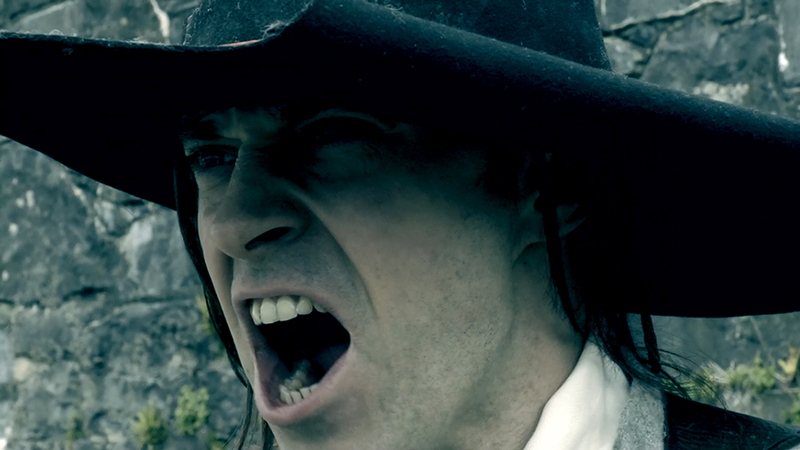 These first-person narrations invite viewers to experience the setting through the eyes of people who lived and worked in the historic castle. 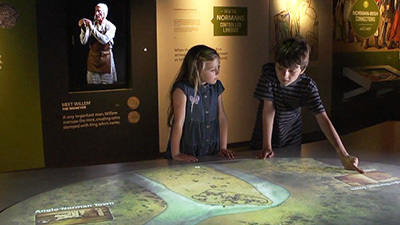 A large plinth timeline is a central feature of the exhibit, displaying a projected history of Limerick and allowing visitors to witness the role King John’s Castle has played in the region’s history.